For ratings, more things to do, where to stay, and tourist information, go to the Perth road trip site . Singapore, Singapore to Perth is an approximately 9-hour flight. You can also do a combination of bus and flight. Traveling from Singapore in September, expect Perth to be cooler, temps between 24°C and 9°C. You'll set off for Geraldton on the 4th (Wed). 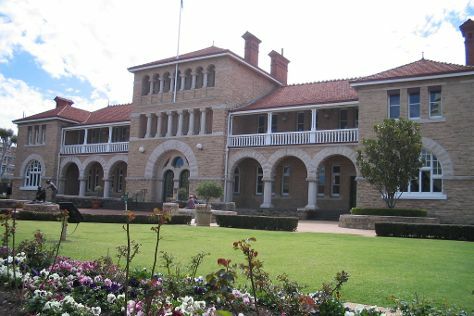 Geraldton is a coastal city in the Mid West region of Western Australia, located 424km north of Perth.At June 2015 Geraldton had an estimated urban population of 39,825. 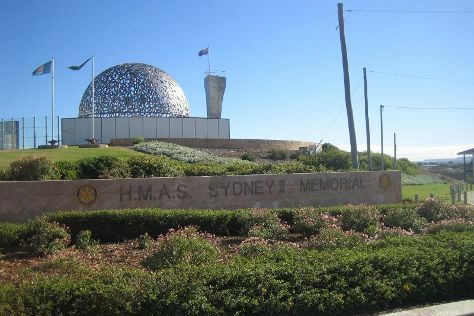 Start off your visit on the 5th (Thu): step aboard HMAS Sydney II Memorial, then get engrossed in the history at Museum of Geraldton, then stroll through Town Beach, and finally pause for some serene contemplation at St Francis Xavier Cathedral. To see ratings, photos, traveler tips, and tourist information, read Geraldton online sightseeing planner . Traveling by flight from Perth to Geraldton takes 3 hours. Alternatively, you can drive; or take a bus. In September, daytime highs in Geraldton are 26°C, while nighttime lows are 10°C. Finish up your sightseeing early on the 6th (Fri) so you can go by car to Kalbarri. On the 6th (Fri), learn about wildlife with up-close encounters at Rainbow Jungle, then get great views at Red Bluff, and then contemplate the waterfront views at Hutt Lagoon. Here are some ideas for day two: take in the dramatic natural features at Nature’s Window and then get great views at The Loop and Z Bend Gorge. For photos, where to stay, other places to visit, and more tourist information, read Kalbarri trip planner. Drive from Geraldton to Kalbarri in 2 hours. Alternatively, you can do a combination of bus and taxi. Wrap up your sightseeing on the 8th (Sun) early enough to travel to Carnarvon. Carnarvon is a coastal town situated approximately 900km north of Perth, Western Australia. Kick off your visit on the 8th (Sun): make a trip to One Mile Jetty, don't miss a visit to OTC Satellite Earth Station Carnarvon, then take an in-depth tour of Carnarvon Space and Technology Museum, and finally make a trip to Carnarvon Blowholes. Get ready for a full day of sightseeing on the 9th (Mon): take in the awesome beauty at Mount Augustus and then work some fitness into your day at The Fascine. To see ratings, reviews, where to stay, and tourist information, read Carnarvon trip itinerary builder site . Getting from Kalbarri to Carnarvon by car takes about 5 hours. Other options: fly. September in Carnarvon sees daily highs of 30°C and lows of 16°C at night. Finish your sightseeing early on the 9th (Mon) to allow enough time to travel to Coral Bay. Exmouth is a town on the tip of the North West Cape in Western Australia. On the 10th (Tue), see the vivid underwater world at Ningaloo Reef and then get up close to creatures of the deep with a dolphin and whale watching tour. Get ready for a full day of sightseeing on the 11th (Wed): indulge in some personalized pampering at some of the best spas, visit a coastal fixture at Vlamingh Head Lighthouse, and then have unforgettable encounters with a shark diving experience. For ratings, more things to do, where to stay, and other tourist information, read Exmouth trip planner. Traveling by car from Carnarvon to Exmouth takes 4 hours. Alternatively, you can fly. Traveling from Carnarvon in September, expect nights in Exmouth to be about the same, around 15°C, while days are a bit warmer, around 35°C. Wrap up your sightseeing on the 12th (Thu) early enough to travel to Fremantle. Kick off your visit on the 12th (Thu): find something for the whole family at Adventure World Perth Australia. 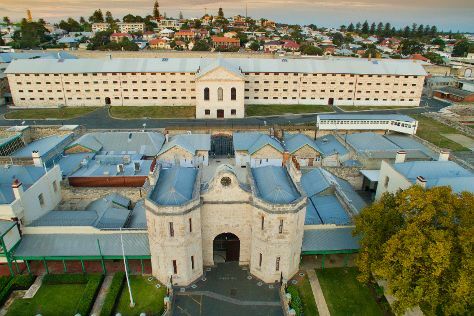 Get ready for a full day of sightseeing on the next day: make a trip to Fremantle Markets, then steep yourself in history at Fremantle Prison, then tour the pleasant surroundings at Cottesloe Beach, and finally contemplate the long history of The Fremantle Round House. To find where to stay, other places to visit, traveler tips, and tourist information, go to the Fremantle trip planner . Getting from Exmouth to Fremantle by combination of car and flight takes about 9 hours. Other options: drive; or take a bus. Plan for little chillier temperatures traveling from Exmouth in September, with highs in Fremantle at 24°C and lows at 9°C. Wrap up your sightseeing on the 14th (Sat) early enough to drive to Perth. For where to stay, photos, and more tourist information, refer to the Perth travel route builder website . Perth is just a stone's throw from Fremantle. On the 15th (Sun), you'll have the morning to explore before heading back home.